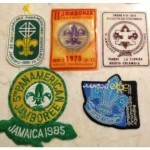 Scout Patch Collectors » » Did You See These? 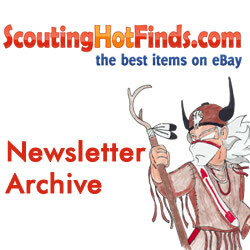 I got an email from Jim Allman about some of his picks for Hot Finds he had his eye one. I had most of these in one of the newsletters but its always fun to go back and see where they finished. I’m attaching the links and his commentary! I’m guessing the Maui County RWS was the driver on this sale. And this prison jacket with the Scout patches, college letters and felt pennants crossed over into the bizarre. Love the weekly newsletters. Thanks. So what is the Pan-American Jamboree? I probably don’t issue this invitation enough but what I have always hoped that patchblanket would turn into is a virtual headline news of interesting things happening in the hobby. One way that I have pushed this is by stressing the neat things that sell on eBay. 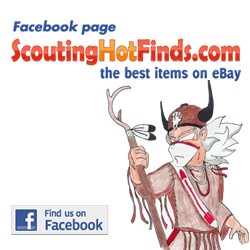 Of course all of us are keeping tabs on eBay and there is no reason why others can’t post on the boards about interesting auctions either while they are live or after they close. We have a few members already that do this but the site would be so much more alive if this happened on a daily basis from many more of you who come and read the posts. 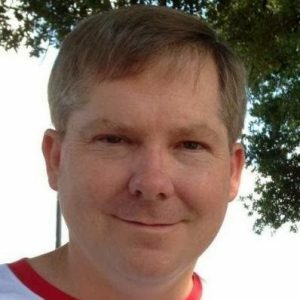 So once again I invite you to not just be a passive visitor on patchblanket but go ahead and get posting!